In this supplementary issue of Perspective, we reveal the emerging technologies taking the biotech world by storm and ask if the definition of a biotech organisation needs updating. Biotech companies operate in highly complex markets with extremely challenging regulatory constraints. As a creative marketing consultancy we are well positioned to cut through this noise and tackle challenges from all angles, offering leading strategic and creative solutions. Ahead of our upcoming report into strategic challenges and opportunities in the sector, we have been speaking to biotech experts to find out their perspective on the state of the industry. 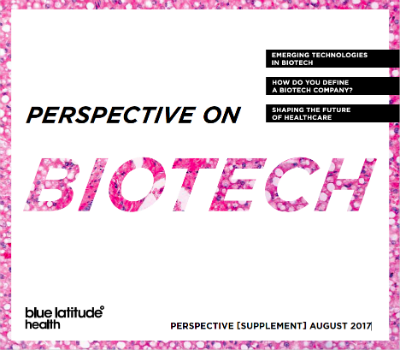 Here we explore some of their enlightening insights and reveal how the definition of biotech is changing as big pharma turns its research and development to biological therapies. How to define a biotech company – is the current definition still valid? Shaping the future of healthcare – solving four common challenges facing biotech companies today.